When employees feel valued, their engagement and productivity rise. 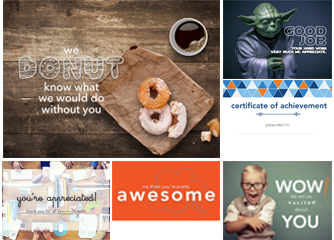 Show your employees you appreciate them with these 46 fun, thoughtful, and customizable ecards and certifications. From certificates of achievement to fun and clever thank you messages, we’ve got the employee appreciation cards and recognition certificates for you. Customize them, send them, and use recognition to engage your workplace. 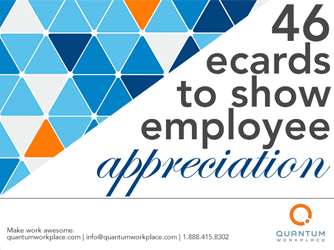 Download these free employee appreciation ecard and certificate templates, and share them with your colleagues today!